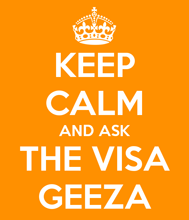 Extend Your Hong Kong Work Visa - Passport Expiring! How can you extend your Hong Kong work visa if your passport has only a very limited amount of time remaining on it before it expires? My passport is currently being renewed but my Hong Kong work visa runs out very soon. However I cannot start the visa extension application process without a new passport. I am worried my visa will expire before the application is complete. Does immigration allow special extensions for such circumstances? Am I eligible for an extension to my dependant visa if my PHKID holding spouse no longer actually lives in Hong Kong? Get your 100% Free Hong Kong Visa Extension Kit here!